One of the things that inspire me a lot is kindness and unexpected acts of love. 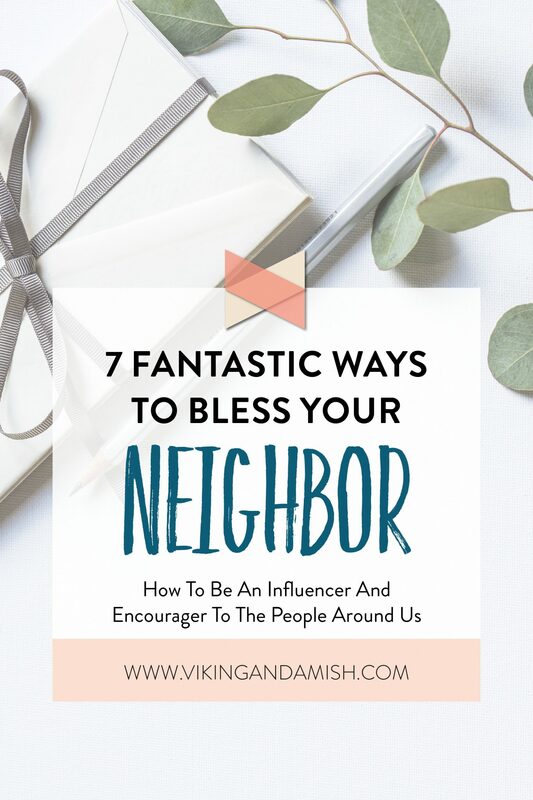 I have a great group of friends that all live by the principle of “blessing locally.” Loving the people in my community is a conviction that continues to stir my heart. 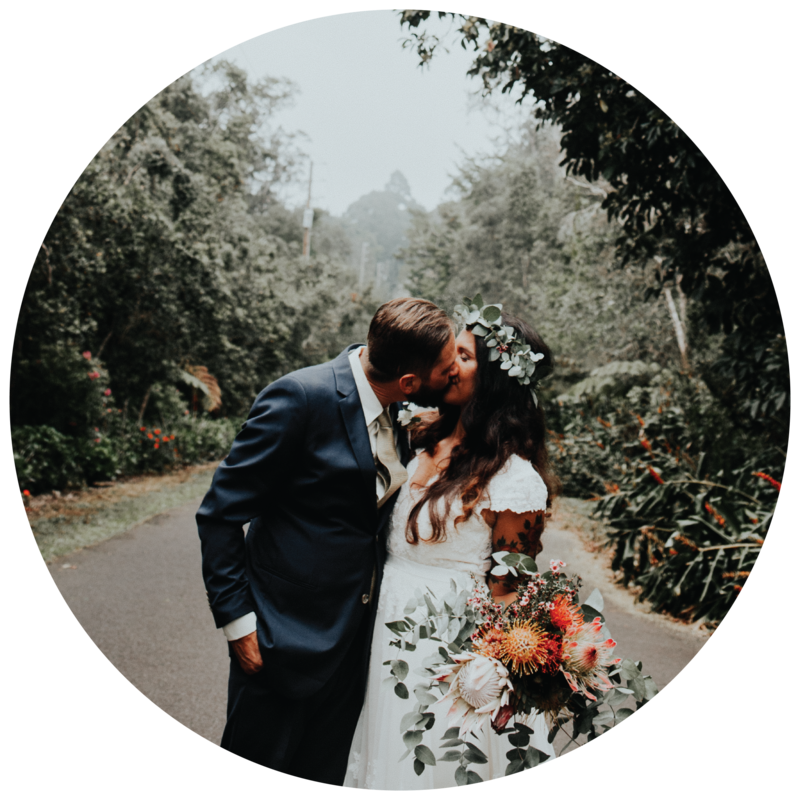 Thus, this post is as much for me as it is an encouragement to anyone else. Most of the ideas on this list are simple things that you would do for any of your friends. It’s my life’s mission to be an influencer and encourager of the people around me. This means looking beyond my group of friends and seeking to get involved in other peoples’ lives in a genuine and loving way. I want my lifestyle to reflect Jesus’, and though that is not always an easy task, I believe loving our neighbors is one of the first steps. Of course, this is the first item on the list. This is such an easy thing to do, but it carries fabulous impact. When you bake, just make a double portion if you can and have time. As a matter of fact, just today, one of my neighbors told me that she loved the banana bread I made her and her husband. She told me that next time I make banana bread, I need to try it with a side of vanilla ice cream. How sweet. Another neighbor of mine has a coffee farm, and every few months he leaves a giant ziplock bag full of Kona coffee outside my door. Yes, it’s amazing! He single-handedly sponsors my coffee addiction. The best thing about it is that this particular neighbor is very private. The fact that he normally doesn’t like to stop and chat makes his gift even more special and I am so grateful. When Jeff and I got married, I was astonished by the number of neighbors that sent us cards with encouragement and well-wishings. We were incredibly blessed. I often think about that time and how I could bless someone else in the same way. With this in mind, I keep a stack of cute blank cards in my office so that I can easily send over a little blessing if anything comes on my radar. 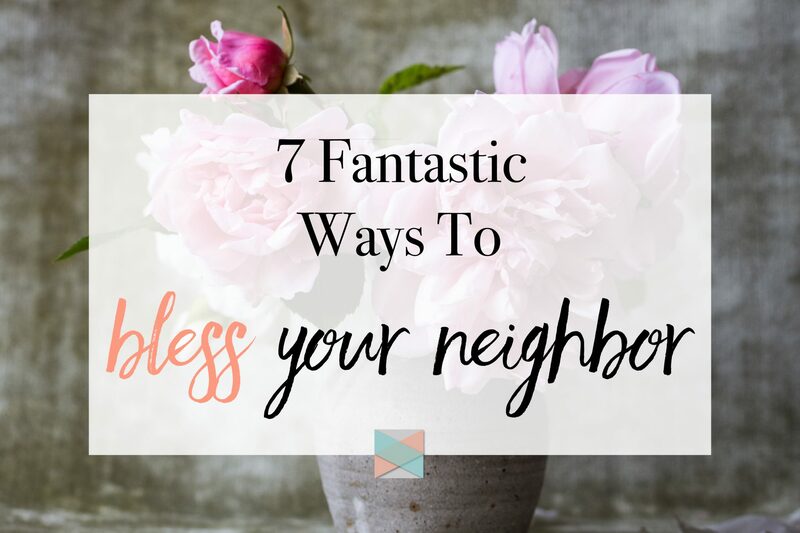 This doesn’t break the bank for us—it’s very effortless, but it certainly helps me bond with my neighbors during their special moments. We don’t have kids yet, but we love to support our friend’s children in whatever sport or activity they do. Showing up to games means the world to the kids, but it means even more to the parents. We have connected in amazing ways with our neighbors over their kids because children are the most precious things in parents’ lives. Eating together is one of the best ways to create strong relationships. Throughout history eating meals together has had significant meaning for friendships, alliances, festivities, etc. 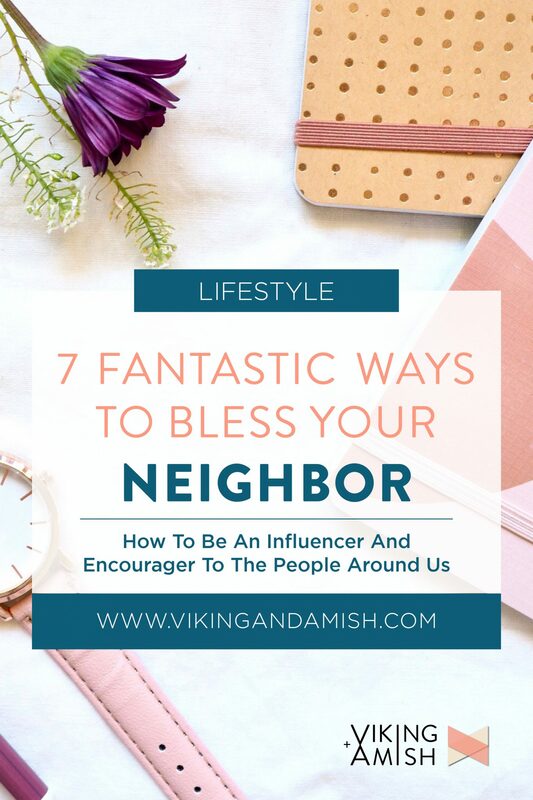 Not only will you have time to get to know your neighbors better this way, but it also expresses that you are approachable. By inviting neighbors into your home you choose transparency, which is exceptional for developing meaningful relations. Thanksgiving, Super Ball, Christmas Eve, 4th of July, a boxing match on TV, you name it. We often have people over to celebrate, watch, or participate in an event together. If we can do this with our friends we can do this with our neighbors too. Think of the hobbies your neighbors have and who you can join or host for the next special event coming up. This seems simple, but with this advice comes following through and doing it with a great attitude. If your neighbor asks for help with something, then be the one to take initiative to make it happen. A neighbor asked me to help set up a new computer they had bought. This senior couple had little experience with technology, so they asked me to help them since they know I sit at my computer almost all day ?. Because they never suggested a time to come over, I decided to simply walk over one morning when I knew they were home. I did it on my own initiative and they were extremely appreciative. Paying attention blesses people more than you realize. If you are not too busy with your own life to look up and ask a few questions about theirs, you can really build a good friendship. Remember the information given in passing them and ask about it next time you see them. A lot of people go days without engaging with others that have a genuine interest in their lives. 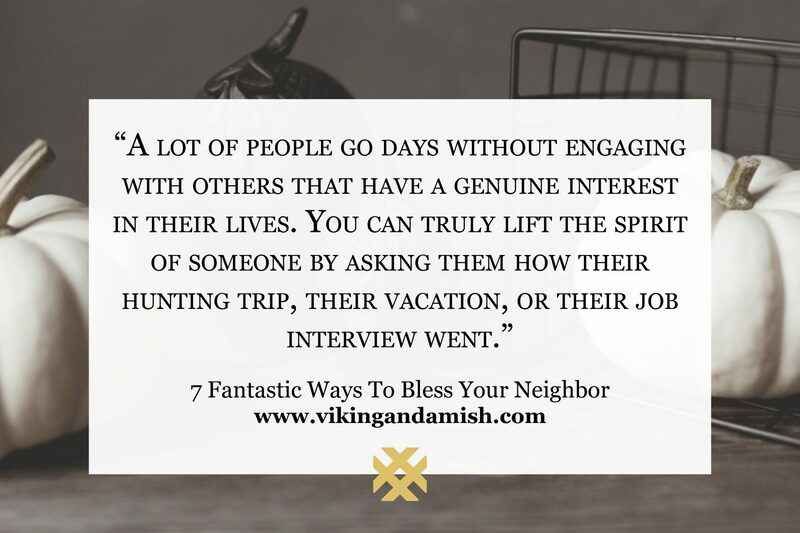 You can truly lift the spirit of someone by asking them how their hunting trip, their vacation, or their job interview went. 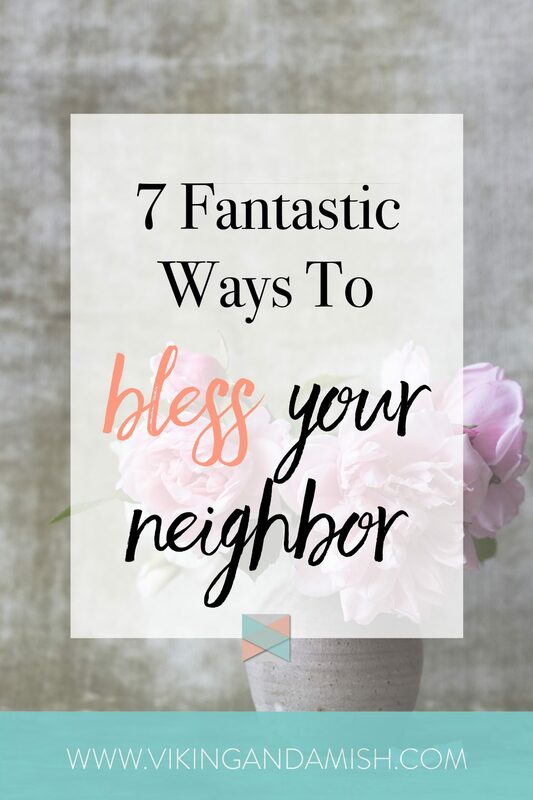 The more we look for ways to bless the people in our community, the easier they are to find. I hope this post gave you some inspiration. 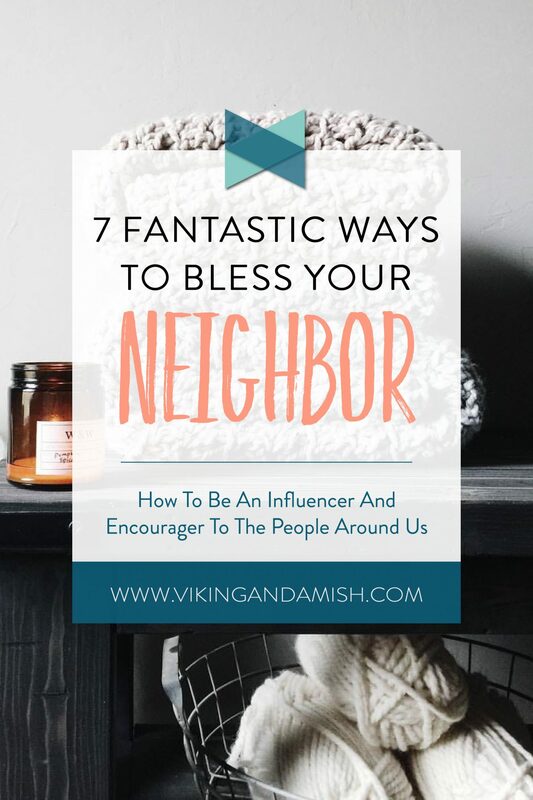 I also would encourage you to comment below if you know of a great way to bless a neighbor. Please share it with us. Thank you for reading.